If you’re someone who wants to lose weight, it’s important to go about it in the proper way so that it’s sustainable. Make sure not to make these 7 common mistakes! Cutting your calories too low for prolonged periods of time can damage your metabolism and make it more challenging to lose weight. It is essential to eat enough nutrients to ensure that all the systems in your body function properly. Therefore, instead of focusing on restricting calories, focus on getting enough of your macronutrients (carbs, protein, fats), choosing whole food sources for the majority of the time and staying active. Fad diets like ‘low fat’, ‘low carb’, etc. 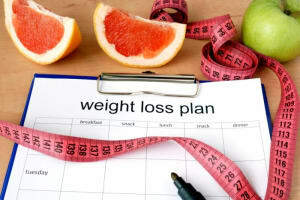 types of diets can make you think that cutting out all fats or carbs is the way to lose weight. However, that is the farthest from the truth. It is important for your body to have enough of all macronutrients in order to be healthy. Carbohydrates are required for energy, preventing protein as being used for energy (i.e. breakdown of muscle) and enabling fat metabolism. Healthy fats are important for proper hormone function, supporting brain health, regulating body temperature and absorbing nutrients. The amount of carbohydrates and fats needed varies from person to person based on their body type and activity level. Therefore, experiment with your body to find what works or contact us at Crux Fitness for more nutritional guidance. Building on the ‘low fat, ‘low carb’ fads, there are many packaged ‘health foods’ on the market labeled as low fat, low carb, or low anything else, but that doesn’t necessary mean they are healthy for you. These processed foods can be low in nutrients and filled with chemicals. Make sure to read the ingredients when buying any packaged foods to see what you are really eating and do your best to stick to whole foods most of the time. It can be tempting to restrict yourself the next day after indulging the night before. However, doing this may not necessarily benefit your body as it can lead to yo-yo dieting and damage your metabolism. Your body thrives on consistency, if it doesn’t know when it’s getting food next, it may actually go into starvation mode and hang onto more fat. Instead of restricting after having a big meal, just listen to your body. Eat when you are hungry and stop when you are full. Load up on nutrient dense foods to get energized. Fat/weight loss requires a combination of both cardio and strength training. Muscle burns more calories at rest than fat does, so that means that building more muscle can benefit your metabolism, allowing you to eat more food without getting fat! In order to build that muscle, strength and resistance training is needed, along with proper nutrition. Lifting weights and doing resistance training will build muscle definition and help you achieve that desirable ‘toned’ look. Doing cardio alone can help you lose some weight, but too much can breakdown muscle. Make sure include both cardio and strength training into your workout plan for optimal results. You do not need to be exercising for crazy amounts to lose weight. Your muscles need time to rest and recover. Over-exercising can stress your body and increase your cortisol. If your stress level is too high, it can lead to issues like adrenal fatigue and hinder weight loss. Listen to your body; if you’re feeling overly sore or tired then it may be better to take a rest day. As mentioned, your muscles require rest. Sleep is when your body recovers, repairs and rebuilds. Quantity and quality is important when it comes to sleep, so do your best to maintain a consistent sleep schedule. Some tips to improve your sleep quality include: sleeping in a cool dark room, turning off electronics, exercising during the day, avoiding caffeine late at night and taking a warm bath before bed. Having a healthy lifestyle is about building consistent habits and finding your balance. Contact the awesome team at Crux Fitness if you want help reaching your fitness goals.